Where there is a will, there is a way………and where there is a team of giving, compassionate, loving, creative, hardworking individuals willing to go above and beyond, and invest their time, energy and resources into serving others, that way leads to something as profoundly tender and beautiful as this…….. 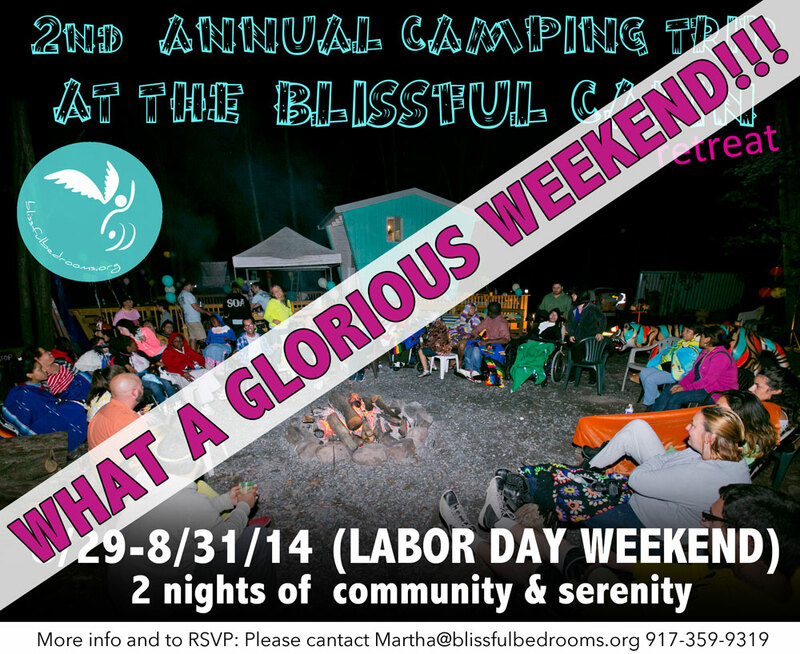 This was our second camping trip at the Blissful Cabin Retreat and with our past experience and commitment to always improving and evolving, as well as the generous support of many, it turned out to be even better than the first! It included not one, but two, field trips – The Woodstock Farm Animal Sanctuary at the beginning of the weekend and Cody Creek Farm (an organic community farm at the end), a movie night under the stars, live and interactive music, and a disco dance party that was on par with the hippest dance club! Most importantly, all of the participants had a fantastic and relaxing time and a memorable mini-vacation they won’t soon forget. The special moments they enjoyed this summer will surely inspire sweet reveries this winter when they spend more time in their bedrooms. There are lots of photos from this wonderful weekend in an album on our Facebook Page, along with lots of other photo albums from past Blissful experiences. Now is a good time for you to LIKE our page so you can stay connected! Immense gratitude and deep respect to every person who had a hand in manifesting this weekend, and there were lots. This was a true partnership in compassion and this experience could never of happened without the help of many, many people entering into a caring collaboration and manifesting this labor of love. 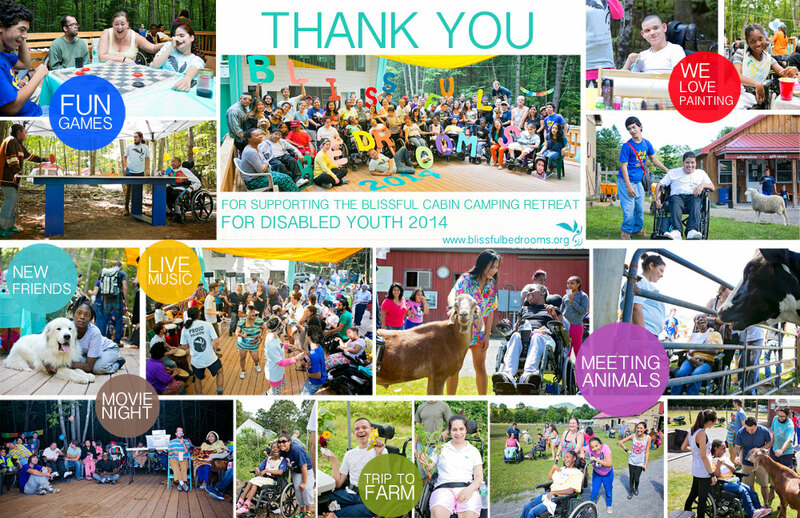 More than 60 people (young individuals with disabilities and their families) were blessed by our kindness this past weekend, and I believe the individuals (volunteers and sponsors) who helped orchestrate this phenomenal weekend were even more blessed.